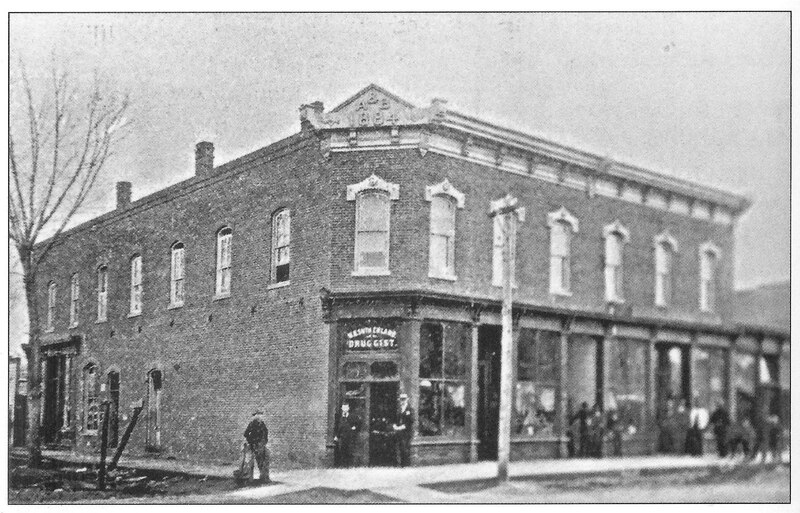 The Bartholf and Allen building at the corner of E. 4th Street and Cleveland Avenue circa 1884. One might wonder, at this point, why a small agricultural town in what was essentially the middle of nowhere would want an opera, and second, one might puzzle over Uncle Tom’s Cabin being presented in operatic form. According to William Faricy Condee, author of Coal and Culture: Opera Houses in Appalachia, “The term ‘opera house’ is … misleading, and intentionally so; it provides a veneer of social and cultural respectability and avoids the stigma of the title ‘theater. '” So, despite the name, the second story of this building was really just a performing arts center that doubled as a community meeting space. And given that the population of Loveland was 236 people in 1880 and 698 in 1890, the entire town, and then some, could attend an event in the opera house space. 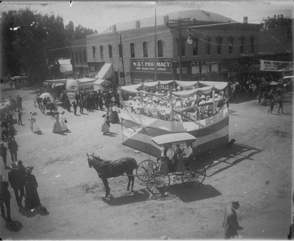 The Corn Roast in 1905 with the A&B Building in the background. The first floor of the A & B Building was home to the W & T Pharmacy, which occupied the corner storefront space for nearly a century. 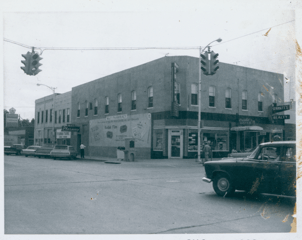 Other tenants in the building over the years included L. H. Skelly’s stationery and book store, the Green Lantern Cafe, Bunt’s Paint and Drapery store, the Sellback Agency, Town and Country Realty, and Sennett’s Realty. 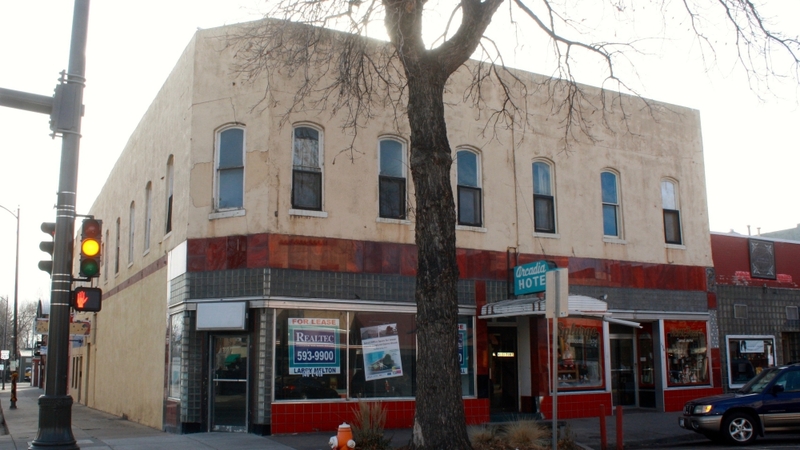 In April 1902, the Fort Collins Weekly Courier reported that Bartholf was taking down some frame buildings that stood to the south of the opera house, which he planned to replace with a 2-story brick business block in their place. (You can just make out one of those frame structures to the left in the 1884 photograph above.) This new business block was connected to the original A & B building with a second-story passage guarded by a massive fire door. In 1903, a new opera house, the Majestic, was built just a block and a half away from the A & B building by McKeown and Bell, on the site of what had formerly been their lumber yard. As one might guess with two theaters so close together, it put a little financial pressure on the Bartholf Opera. In January of 1905, a skating rink was installed to replace the opera house. And in the 1910s, the second story was again remodeled, though far more significantly, to become the Arcadia Apartments. 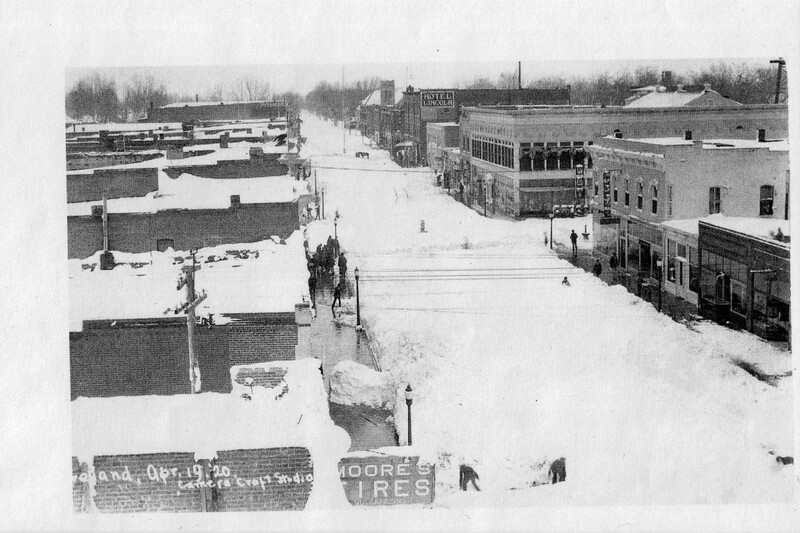 Looking east on 4th street in 1920 after a snow storm. The A & B building can be seen at right with two vertical signs: “W & T” for the pharmacy and “Arcadia” for the upstairs apartments. Photo of the Arcadia Hotel from 1969. 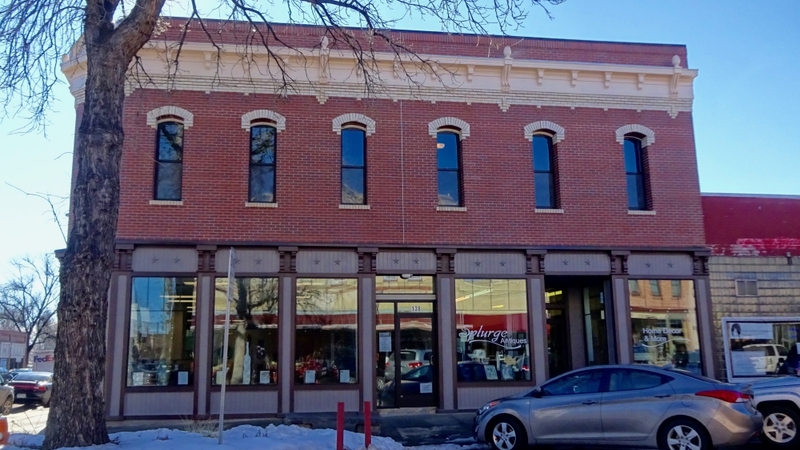 According to the National Register Nomination form for the Downtown Loveland Historic District, the Allen & Bartholf Building was remodeled in 1925, and again in 1938. One of these remodels may have included a second addition to the south side of the building. Apparently it was during the 1938 work that the detailed cornice along the top of the building was removed, as were the lintels over the windows, creating a flat facade. In addition to removing the Victorian Era detailing on the building, the brickwork was covered in a cream colored stucco and the storefront windows were replaced with extensive lengths of glass block and large red panels. Though referred to as the Arcadia apartments, or the Arcadia rooms, in old newspapers, the name was eventually changed to the Arcadia Hotel, perhaps after the 1938 alterations were made. Looking east on 4th Street towards Cleveland Avenue in the 1940s. The hotel is at right. In November 2013, the building was put up for sale. The owner of the previous forty years, Harley Daily, had passed away, and his children didn’t have the time or energy to put into giving the property the attention it sorely needed. The building was being underutilized and required some TLC in order for its potential to be maximized. But the real estate agent in charge of selling the property told the Loveland Historic Preservation Commission that the building was “extremely tired” and needed to be replaced. In other words, he thought it wasn’t worth saving and should just be scraped. The front of the building as it looked in December 2014. Splurge Antiques moved into the building in 2011. Then Howard and Diana Perko came along. They were able to see past the neglect and the changes to the facade to the gem that the building could be. Though they didn’t restore it back to how it looked originally, they did renovate it in a way that strongly elicits the Victorian commercial building that it used to be. The City discouraged demolition of the building due to its history and the central role it had played not only in terms of early entertainment in the community, but for the contribution to civic and community engagement that it had played as well. In order to encourage renovation, therefore, the City was willing to help the Perkos by providing a façade grant. In order to secure the grant, they had to sign a 25 year maintenance contract, ensuring that the building will continue to look as splendid 25 years from now as it does today. 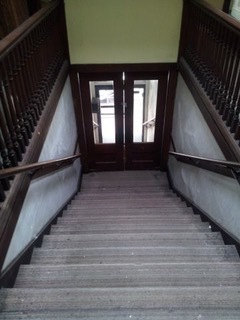 The stairs as they looked before renovation. The Perkos were unable to take advantage of the significant tax credits that are available for historic preservation due primarily to the fact that the building was not landmarked at the time that it was renovated. The City was in the process of engaging a historian to document the downtown buildings for the possible creation of a historic district at the same time that the Opera building went up for sale. 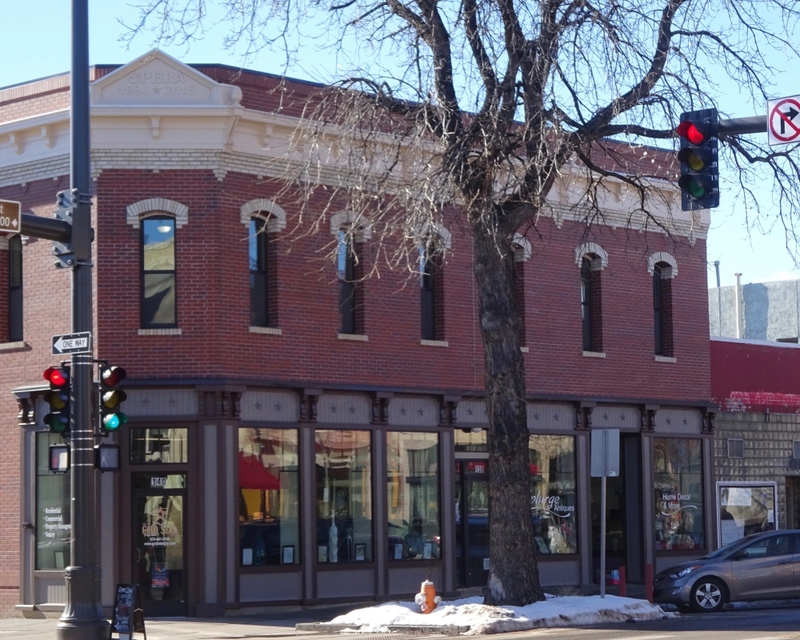 So it wasn’t until after the renovation was completed, that the building was included as a contributing structure in the Downtown Loveland Historic District. Greater accuracy in reproducing original details would have been required if the Perkos were to make use of tax credits. But since they were relying upon a development grant and not a historic preservation grant, they had a lot more leeway to select the details they preferred. Because they covered the stucco with new brick, most of the 1884 building that is visible to passersby today is actually new material. The stairs as they look today. What was originally the old opera house is now office space and a meeting room. This is the small lobby at the top of the stairs. The old hotel rooms are now used as office space. 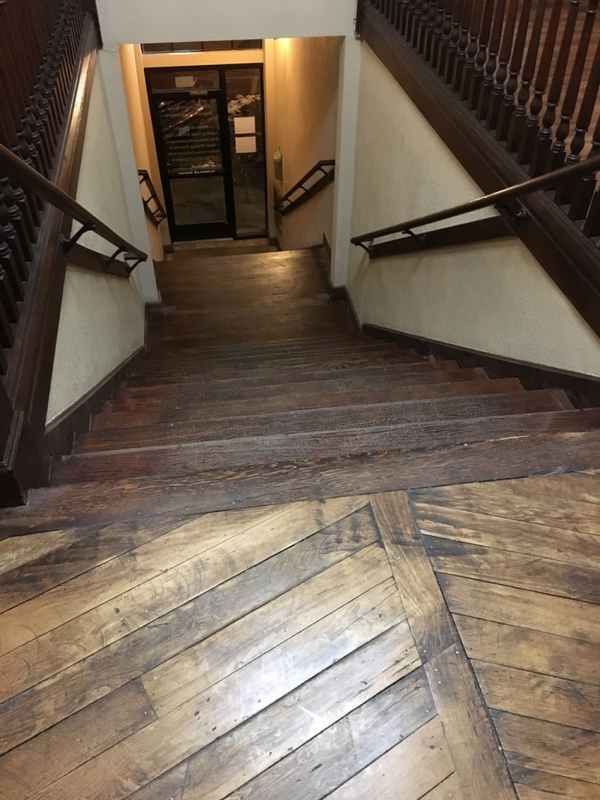 One of the office spaces on the west side was repurposed into a new passageway to the southern addition that had been added in 1902 by Frank Bartholf, but otherwise the rooms are in the same configuration they were in when the building was the Arcadia apartments. 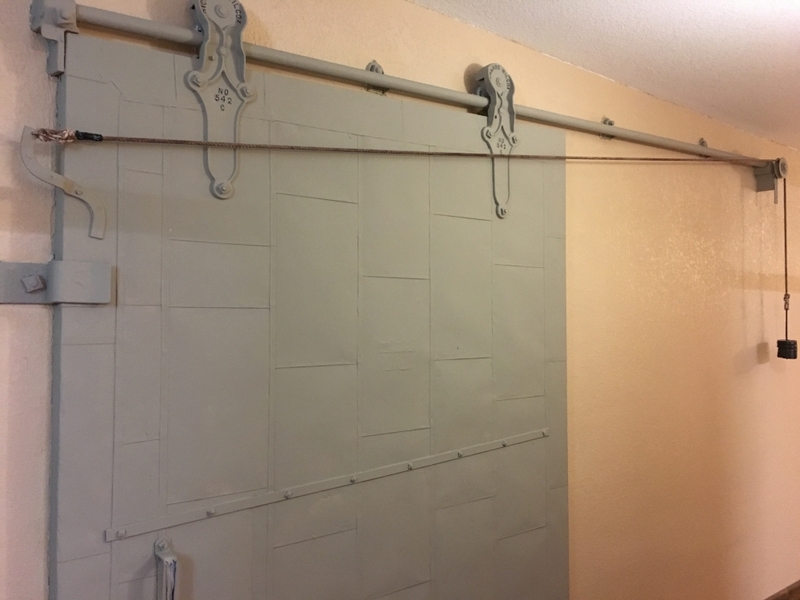 The old fire door still hands on the wall between the older building and the slightly newer one in back that Bartholf added, but it no longer provides passage between the two buildings. Instead it hangs on the wall decoratively as a reminder of its old purpose. The back, or south, half of the building has two 2-bedroom and two 1-bedroom apartments upstairs as well as more retail space on the first floor. One of the former first floor retail tenants has claimed that there are ghosts in the building. Current tenants in the building include: Splurge Antiques, The Flipside, Fresh Plate, and Gigi’s Salon & Spa. Though the building hasn’t been restored to its original façade, the renovation still goes a long way towards improving the pedestrian experience along E. 4th Street and Cleveland. The Victorian style detailing adds to the sense of the historic nature of the street and provides visual interest for passersby, which is an important component in revitalizing and activating an area. And despite changes, there is still historic fabric woven into the building. 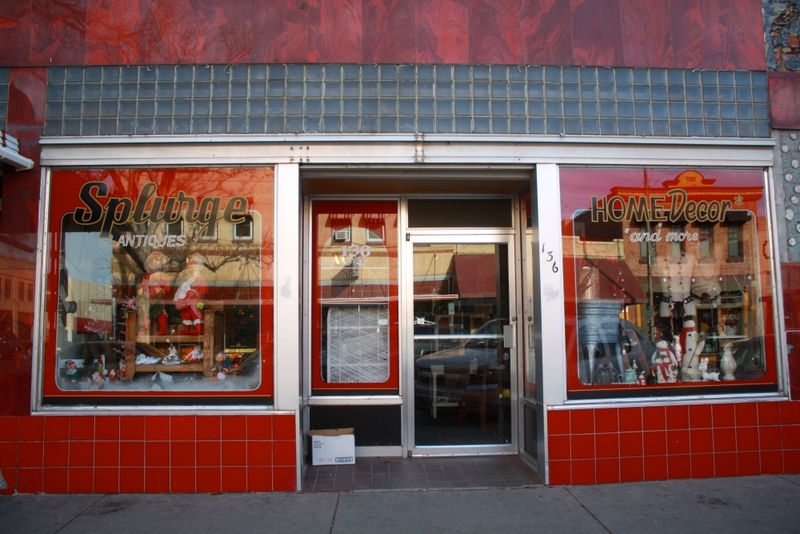 As you patronize the various businesses listed above, take time to enjoy the sense of history and place as you walk through this gem that once was the heart of entertainment and community events in Loveland. Loveland’s Historic Downtown: A Guide to Buildings, published by the Loveland Museum/Gallery in 2001, is a magnificent resource. In it I found the list of tenants over the years that resided in the A&B Building. The suffocation quote from the Loveland Reporter also came via this book. Population information came from Population.us. The opening of the skating rink was mentioned in the January 11, 1905 Weekly Courier. 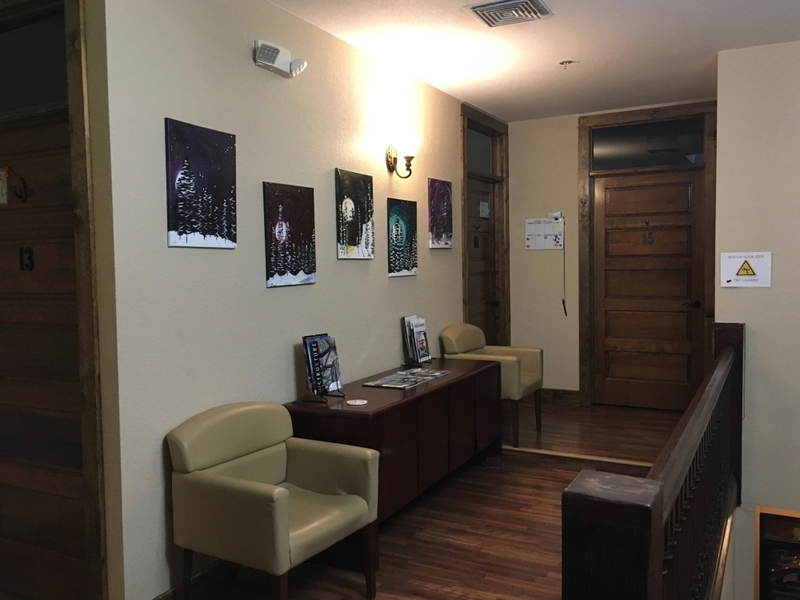 Information about the financial assistance received through the City came from Diana Perko (join owner of the building) and Nikki Garshelis with the City of Loveland. Historic newspapers were accessed through Colorado Historic Newspapers. All of the older photos of the building (inside and out) came via Sharon Danhauer, who has collected them over the years from the Museum and others, including from the current tenants, Howard and Diana Perko who provided interior photos from before the recent work was done. There appears to be no interior photos of the Bartholf Opera House — at least none that are publicly available. If you have some in your family’s collection, these would be a real treasure for the Loveland Archive as well as for the current owners of the building. If you could digitize your copies and forward them on (I’d be happy to pass them along if you don’t want to dig around for contact info. ), then the originals can remain with you but others will be able to enjoy the historic interior views. 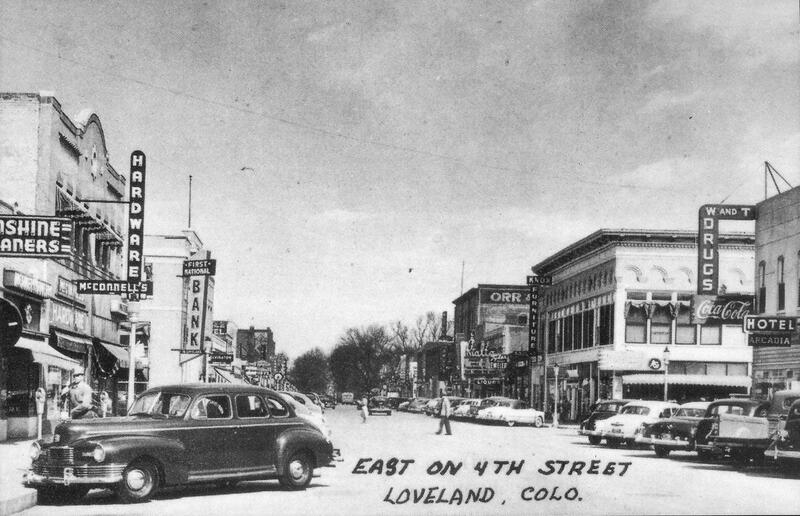 Find out more about the Downtown Loveland Historic District on the City of Loveland’s website. And, as always, if you find any errors in this article, please let me know. The wonderful part about publishing online is that inaccuracies can be corrected. Source material for corrections is always appreciated. Wonderful article, well written, comprehensive and informative! The A & B Opera House was certainly worth saving and I am so glad it has been! Kudos to Howard and Diana Perko! And to the City of Loveland! The Loveland Historical Society appreciates the tour given to us on Nov. 9.